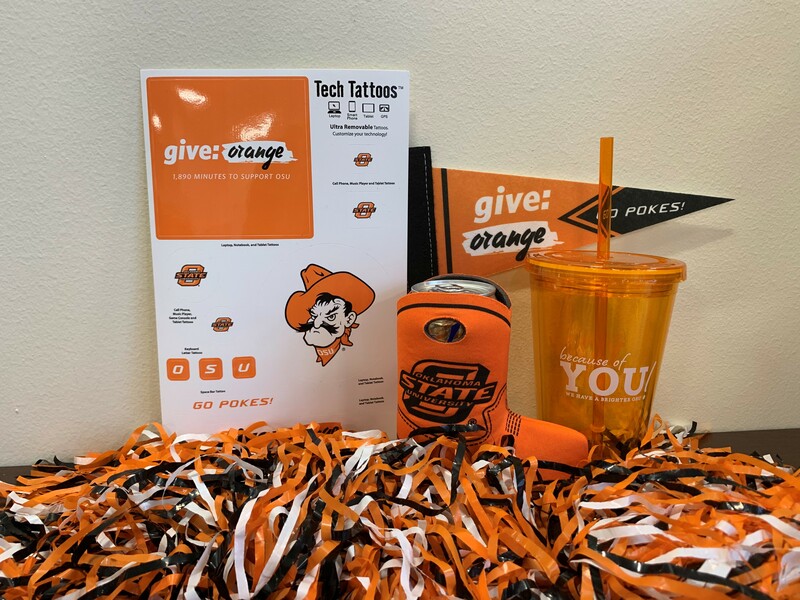 Become a Give Orange Ambassador! Give Orange is coming and OSU needs your help in amplifying one of the biggest days of our year. You can help spread the word to hundreds and thousands of people with a few clicks and a bit of time. As a Give Orange Ambassador, you're a part of the Give Orange Team. We're going to equip you with tools to share your orange passion within your social network and track the impact you're making during Give Orange. Rise on the leaderboards as you raise gifts for OSU to qualify for great prizes! All #GiveOrange Ambassadors will be eligible to win the following ambassador prize pack. Sign up to learn how! The time commitment is low and the potential to advance your favorite university philanthropically is limitless. Sign up today and you'll take the first step toward becoming one of the first Give Orange Ambassadors for OSU. Check your inbox for further instructions and updates throughout Give Orange!